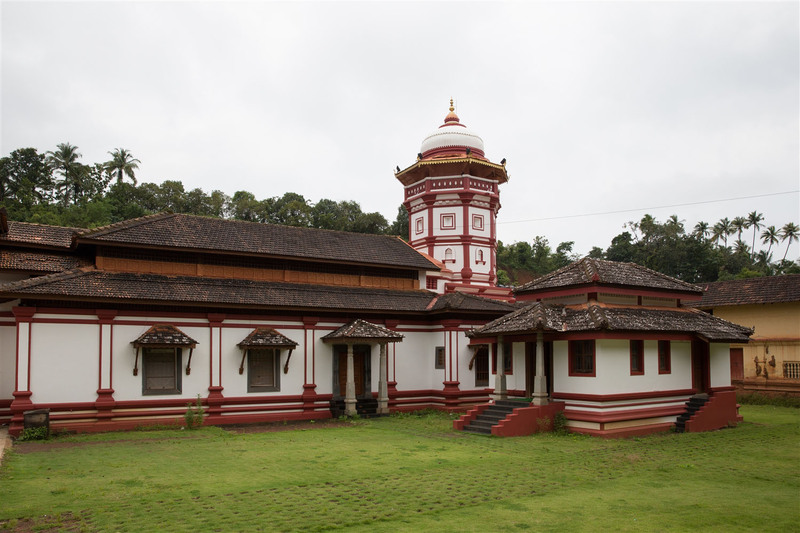 The Shri Mallikarjuna Temple is situated in the village of Sristhal, 7km north-east of Chaudi in Goa. 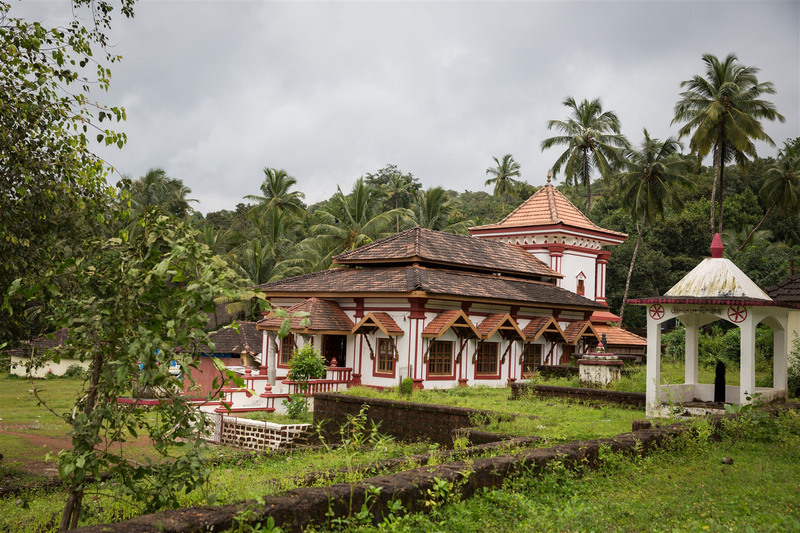 The shrine is believed to be one of the oldest in Goa, and is situated in the most beautiful of locations, surrounded my distant mountains covered in thick lush green jungle. 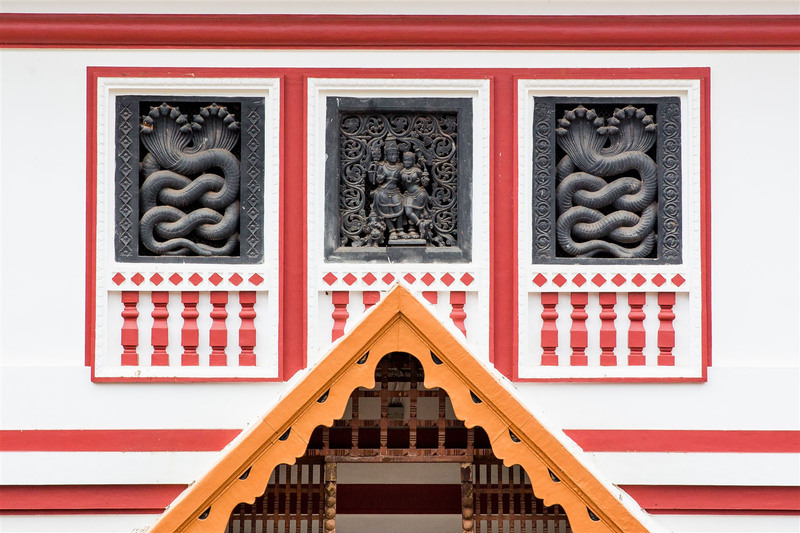 On a plaque near the temple done an insciption states that the temple was constructed in the middle of the 16th century by the ancestors of Kshatriya samaj, it was also refurbished in 1778. 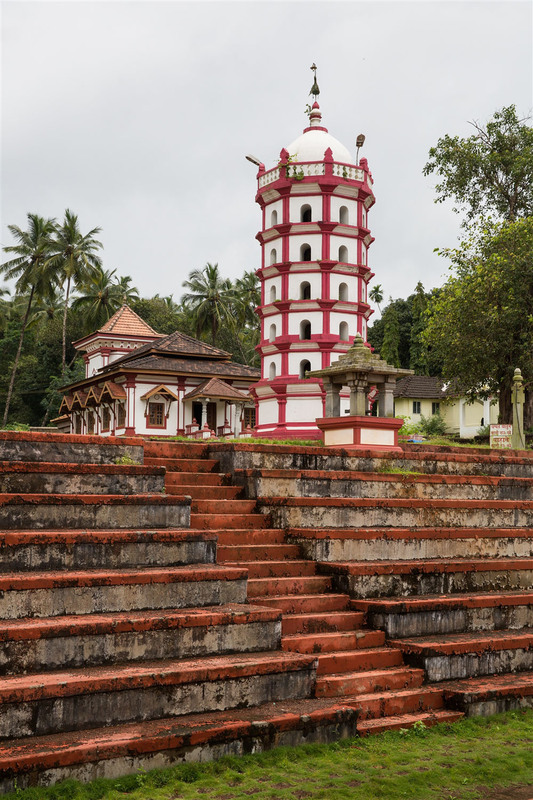 The temple houses one of fourteen Mallikarjuna shrines that can be found in Goa, all similar in that the idols are phallic in shape and covered with metallic masks. 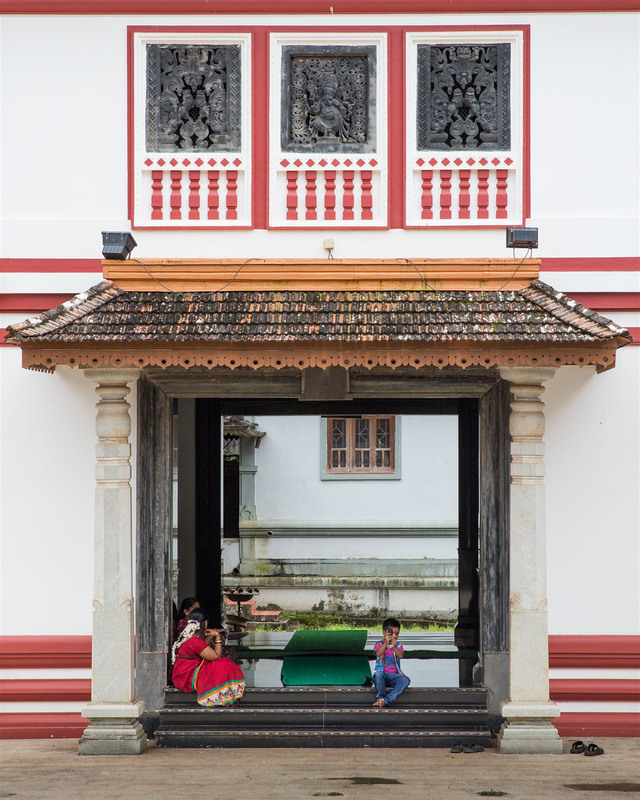 The temple complex was almost deserted when I visited, I’m not sure many people touring Goa make the effort to visit here. 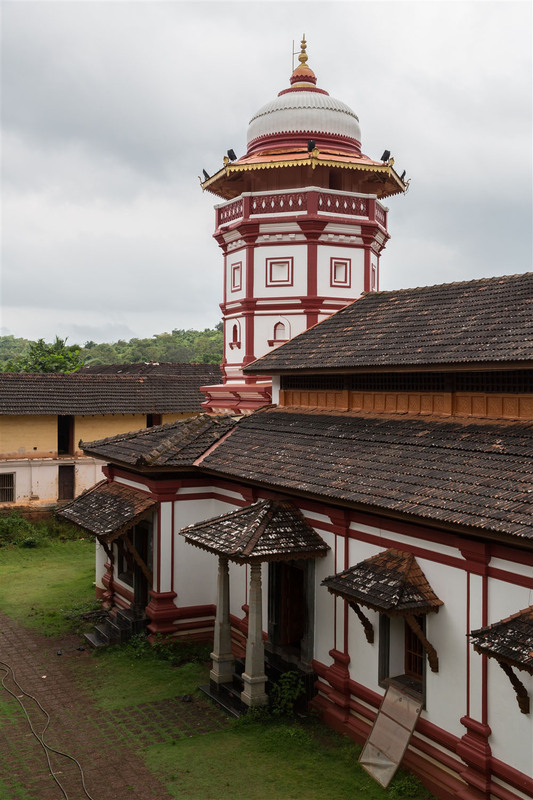 It’s worth stopping by if you’re in the area, and as with almost all the temples of Goa it’s setting is just as impressive as the actual architecture. It was quite cloudy when I visited, so the light wasn’t very condusive to decent photography unfortunately. 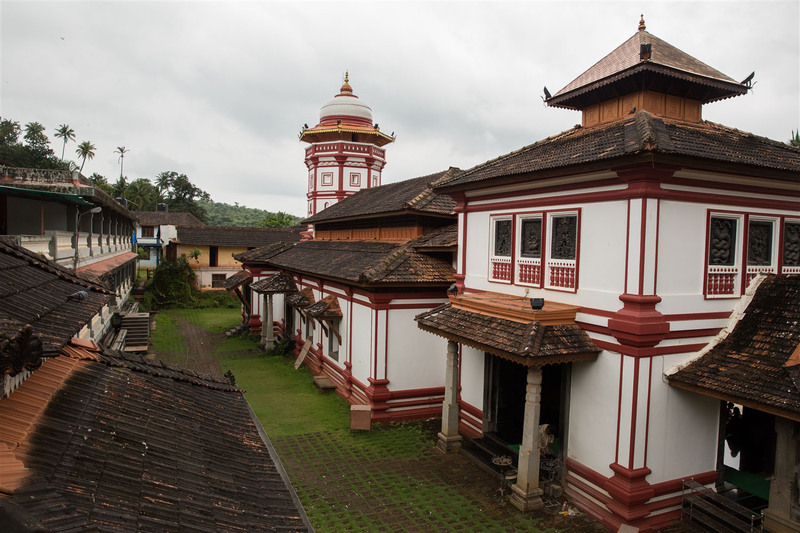 Legend has it that the location of the temple is the place where Lord Shiva was reunited with his consort Parvati after a long period of separation. 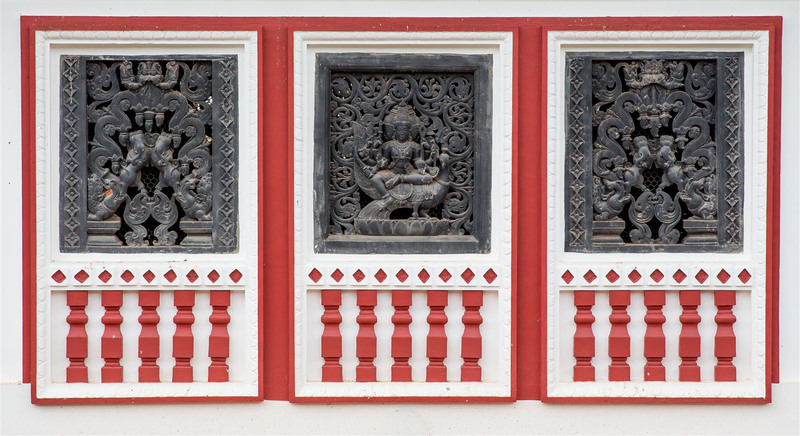 Another legend has it that the demon Malla was fighting with one of the Pandava brothers, Arjuna. Shiva assumed the form of a hunter and killed Malla and saved Arjuna, hence the name ‘Mallikarjun’. 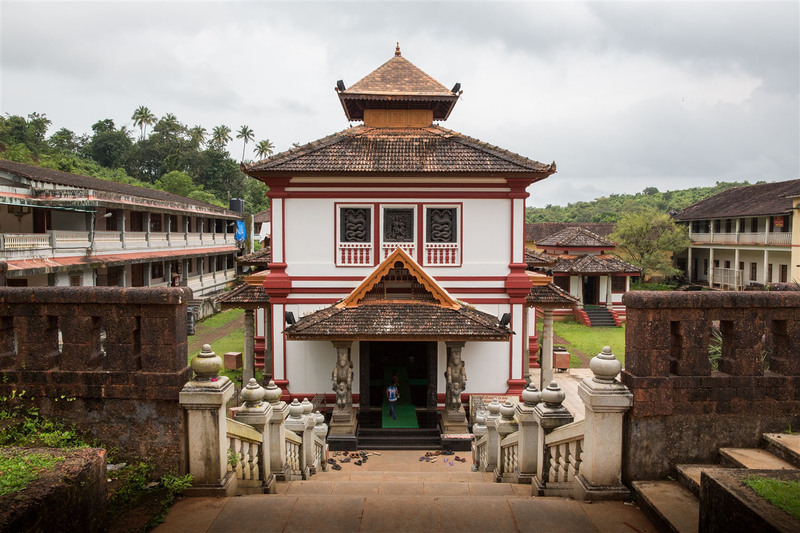 The temple is also known as Adavat Sinhasanadhishwar Mahapati Canacona among the locals.